Are Micro inverters worth installing? 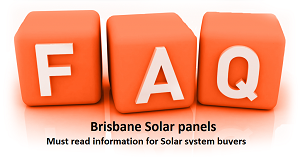 Why QLD Solar & Lighting? What Is the Best Battery for Storing Energy? Welcome to our Yingli Solar Panels review. Firstly, we would like to start by saying that Yingli make a very good solar panel for the Australian Environment. However, we bellieve that there are much better options out there on the market for the same or better price. The Yingli Panda solar panel – A good panel, but far more better out there on the market in that price range. Yingli claim to be the largest manufacturer of solar panels in the world! Yingli have been proven to be popular in the USA, Germany and a lot of countries in Europe but have never really taken off in the Australian market. We are not sure why the Yingli Solar brand is lacking so hard in Australia. Queensland Solar and Lighting has certainly had containers of their panels pass through our warehouse and checked their quality – All turned out pretty good, mind you. The performances were great, nothing fantastic of course. You would want their performance to be great although, as other countries that have written a Yingli Solar Panels review has announced that they are a world-class panel. There is no denying that there. Would I put a Yingli solar panel on my roof? Would I buy a system with Yingli solar panels in them? Probably not. The reason for this is that there are SO MANY other premium panels out there on the market that we have seen to have superior performance and come in at a cheaper price point. After all, a solar system purchase is all about a Return On Investment, isn’t it? you can learn more about Yingli here. While Yingli Panda solar panel is rated an impressive 6th by Photon Magazine German. Wouldn’t you much rather a higher rated panel with the same spending money? With Alternatives on the market at a similar price, for example, Seraphim Solar panels, Winaico Solar Panels, it sure is hard to see Yingli panels as a clear front runner. These products reviews and power analysis after install all come in far better and consistent than I have ever had the pleasure of seeing in a Yingli Solar Panels review. Once again, we thank you in reading our Yingli Solar Panels review. 10kw solar system installed, Scott was very helpful with the decisions at the start when I was working out what I wanted. The price was about the same as anyone else by the service was great. The team turned up when they said they would and did a great job. Will be recommending them on to friends. Daniel at Qld Solar and Lighting was awesome to deal with. I found him super knowledgeable, trustworthy and open during our chat about the quote and job I needed done. And then the installer (Julian) was bang on time, kind and courteous and did a great tidy install. Cleaned up everything, took the time to explain the unit and its features and was overall very professional and helpful. I highly recommend this crew to anyone. Discussion of the best solar inverter to replace a recently failed inverter. Ended up selecting a Zeversolar ZL3000S with an extended warranty (10 years total). So far very happy with it - online app to see solar power production is great! Thanks again Daniel and Julian. Highly recomend to anyone looking at having solar installed. Whole system was installed within a week and is of very high quality, both product and install. The guys even went as far as cleaning the leaves from my old system and raking them into a neat pile on the front lawn. Clear and responsive communication with Scott before and after install and was given honest suggestions on what system would best suit my household needs. Would not hesitate in using their services again. It was a pleasure to deal with Scott and his crew. The were efficient, clean and tidy and the install was top notch. Good job team! Scott and his crew were excellent to work with. I had a few other companies quote to set up an install, but as my roof design was very sectioned, many companies over promised on what would actually fit onto the roof based on internet pictures. Scott was the only one who actually sent a crew out to the house to properly check and measure what would fit, and figured out the best way forward. He also made sure I wasn’t over spending on a system, and didn’t try to upsell me anything. He actually talked me out of some extra spending that I thought would have been a good idea (and would have made him more money), but was ultimately unnecessary. Definitely very knowledgeable. The install crews were good, and did a great job. Would definitely recommend. Have we installed near you? Queensland Solar and Lighting is installing solar power Brisbane at the cheapest prices the Gold Coast, has seen. We only use quality solar panels and inverters. All our products are of the highest Australian Standard. We install solar systems to Residential and Commercial clients all over NSW and Central Queensland, Installing from Cairns to Narooma Solar power. We have solar customers in Victoria, Canberra and Sydney also. Wherever there is a naked roof in Australia without a solar panel on it, we will happily come and install at the cheapest possible price. However we can, and have, installed all over the East Coast of Australia!